Come on New Zealand what has happened to the hard iconic kiwi fisherman which always show all the international visitors how to do it?? There seems to be huge numbers of international anglers flogging our local and backcountry rivers and actually doing quite well. This not being a bad thing for me as this is where my income is generated from but I sure am missing the boys in stubbies wet wading -that came out wrong and was not meant to sound gay just wondering where the kiwis are and whyÂ you areÂ not fishing? As a nation we are spoilt when it comes to rivers to fish, forests to hunt and sights to see and it seems the rest of the world are once again starting to venture over this way with the economy slowly recovering. 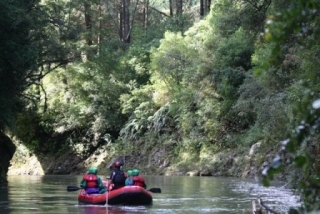 International fisherman are doing well on our rivers but are putting the time in to learn new techniques and where to go from locals like myself or other keen kiwi fisherman. 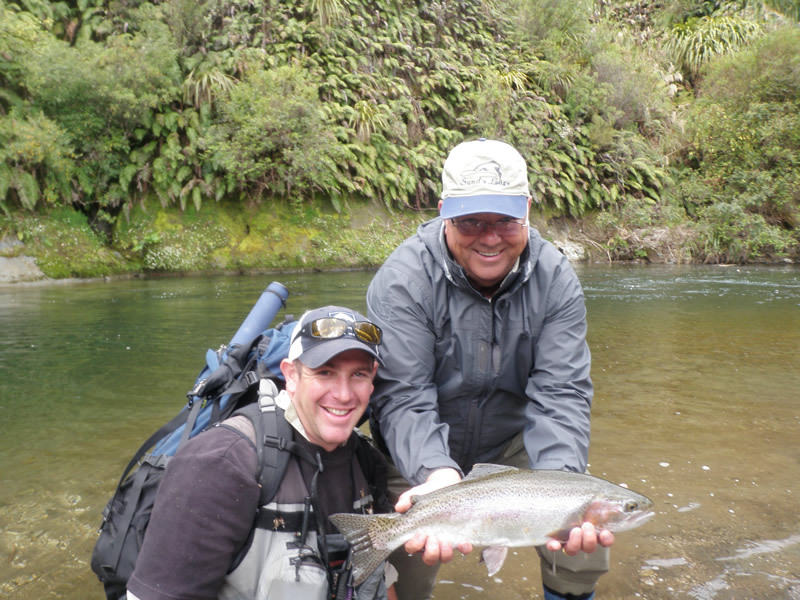 I think kiwis are still hoping forÂ a trout first cast or they think the fishingÂ is bad and go home for another day which is not the case as our international visitors are demonstrating-put the time in and get the results! 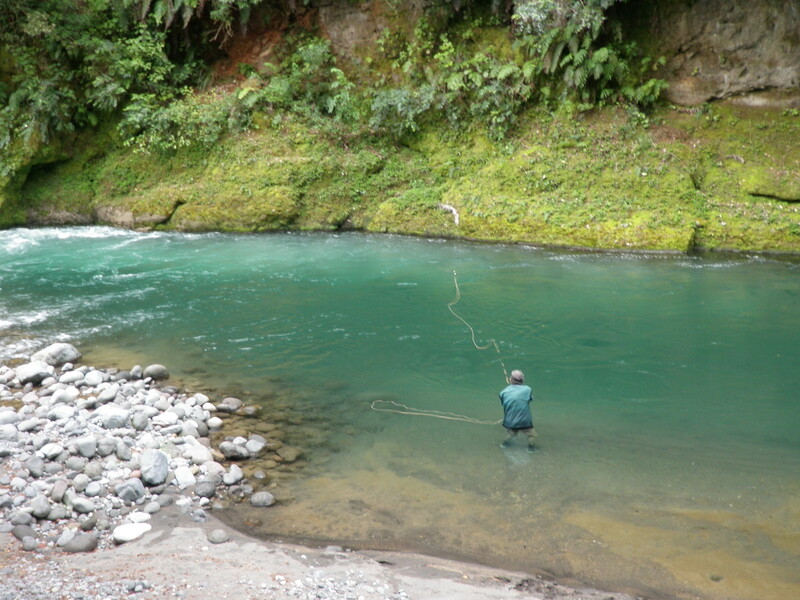 Everyday I hear the same story from delighted clients that the fishing in New Zealand is fantastic and we take it for granted , I tend to agree. Most clients walk away with catching there largest prettiest trout and quickly are back on the phone or computer trying to arrange their next adventure, we truly are a lucky country. Anyways, Tongarrio has fished well over the past few days and you should expect both good Rainbows and great Browns which have made their way into the system over the past few days. These fish seem willing to be caught and are on the feed most of the day but moving around pools seems to be the key to success. There is at-least one big Brown getting caught everyday at the moment and they are turning up in some very weird places like the Reef pool (fast run below the Sand pool). If I am hearing and seeing these fish everyday there must be many getting hooked and lost as I can guarantee these are not easy to tame. For those of you who sayÂ I “might I hooked a Brown” well if it pulled steady all over the pool like steam train then you probably did. 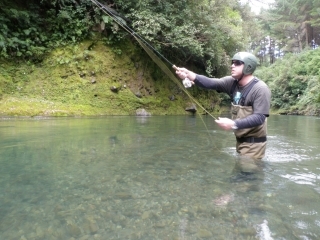 Dry fly on the Tongarrio and Taupo rivers has been patchy but with the right weather and sun out you can still rise fish to the surface and slurp down most patterns thatÂ are presented correctly. We will not have the Cicada season which we all remember last year itÂ is now too late for these critters to really go to town and we now will wait for next year or the next year after that? There are Cicadas around and don’t get me wrong trout will take them but I think there are better patterns to be using atÂ the moment like the blow fly or caddis emergers. Mike fished Judges today with good results nymphing the usual lies with standard Tongariro patterns. Seven fish were landed over the couple of hours he was up there all being good conditioned Rainbows but no Browns. This time last year we had both hooked and landed 5 or 6 big browns but this year we have not managed to get one to the bank which is driving both of us mad, I will head out in the morning and get serious with them. Rafting in the upper reaches is still going strong and we had another good day up there this week with some really nice fish making it to the bank. Fish numbers are dropping in the upper reaches but that is to be expected at this time of year , the fish we are getting are in good nic and areÂ a pleasure to catch in such awesome settings. As you can see from the pictureÂ the river is deadly clear which means you will need full summer stalking mode locked in, check out Tony in his helmet to stop him leaving lumps due to bad casting, haha! Lake OÂ we usually don’t talk about too much but I will let you know that it is fishing very well with heaps of boaties reporting good catches at first light and after dark. 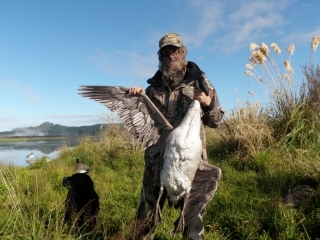 For those of you that were up on the lake over the weekend and thought that world war 3 was about to break out you should know if you don’t already that there was a annual Canadian Goose cull going on. I was part of the shooters and occupied a hide on the shore waiting for the hard to fool Goose,I should have had a fly rod instead of a gun as there were trout rising all over and no Geese. 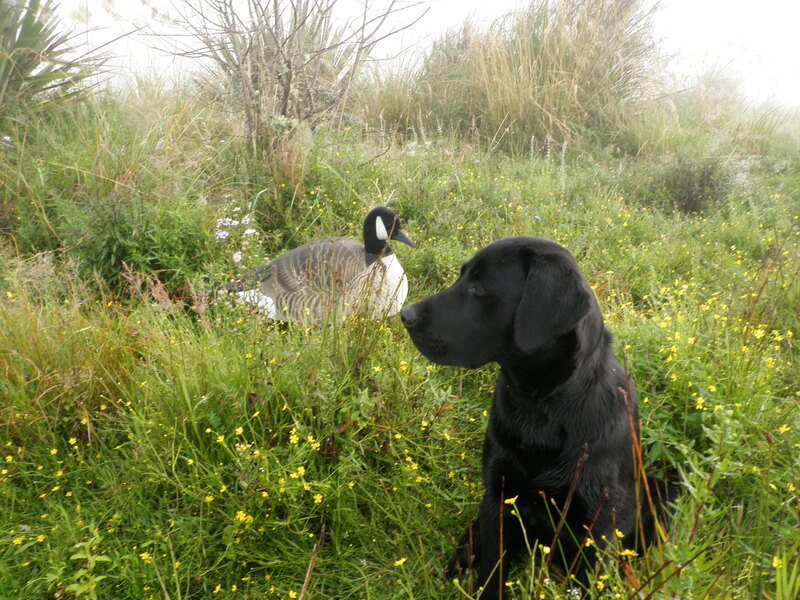 Geese have been a major problem for quite some time now and farmers and water users are pleased to see them gone. The day was great fun and eventually we had our way with a few. I have the day free tomorrow and will join the internationals on the river in my quest to try and capture that elusive Brown which is currently doing well in staying clear from me. ItÂ is a big river out there people with alot of water which is not being touched so get up here and see what you are missing out on. 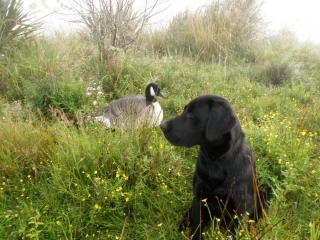 I will post a pic of the Brown which I am going to catch tomorrow……..I hope.